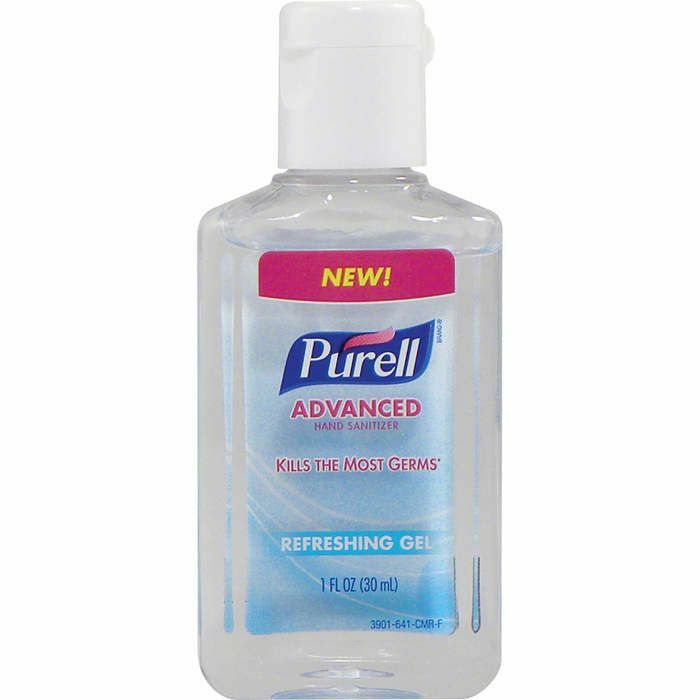 1-ounce bottle of Advance Formula Purell Sanitizer. Engineered using 70% alcohol content. Purell pre-printed stock label on bottles. Includes neoprene sleeve with carrier clip. Neoprene sleeve available in 13 different colors, can be decorated with a maximum 4-color imprint. US Patent #D510,479 5. Item ships with sanitizer bottle inserted into neoprene sleeve. Available for shipment in contiguous US only (shipping to Alaska, Hawaii & Puerto Rico NOT available). Ingredients Active : ethyl alcohol (70%); Inactive : water, isopropyl alcohol, caprylyl glycol, glycerin, isopropyl myristate, tocopheryl acetate, acrylates/C10-30 alkyl acrylate crosspolymer, aminomethyl propanol, fragrance. Production Time 5 business days! Requesting a virtual proof will delay your order by approx 1 day.